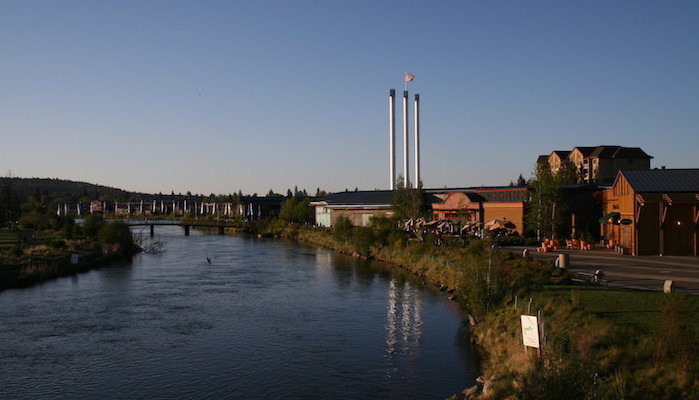 Old Mill Reach: Bend came to fruition as a logging and mill town, but today the Old Mill neighborhood is a popular shopping hub, and a great place to access the river via a series of parks and trails. While you can mix and match trails here, the Mill District Loop is a reliable 2.4 mile loop over a medley of footbridges, paved, and unpaved trails. Trails are mostly paved on the east side of the river, while the west side has a few unpaved paths. A good place to start is Riverbend Park, where you can park at the Parks and Rec District office. From there, hop on the path along Columbia Street and head west towards Colorado Ave. Take a right on Colorado and continue up to the bridge crossing at McKay Park. The path then winds back on Mila Drive and Bond Street before crossing back on the Columbia Street bridge. For a longer run, add Riverbend Park. It’s a pleasant 2-mile loop, adjacent to Old Mill Reach, along the river.